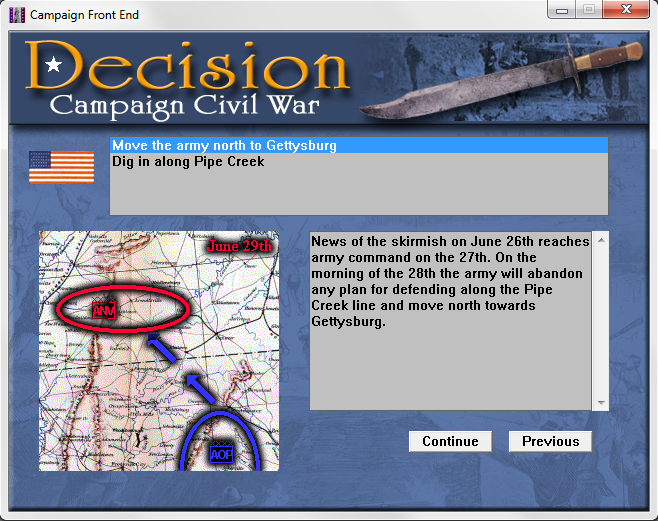 It is the crossroad of the War between the States. 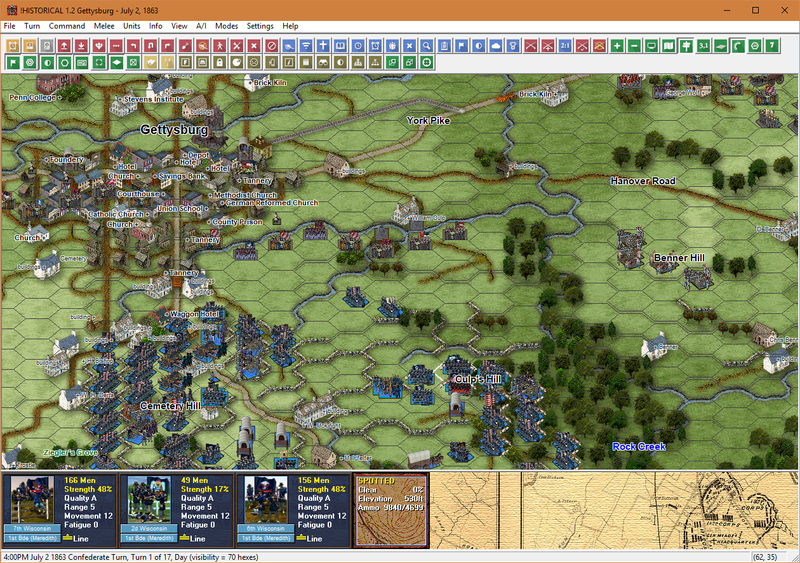 July 1, 1863, dawns hot and bright in southeastern Pennsylvania. 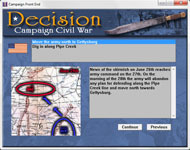 General Lee had slipped behind the Union Armies, which were moving south to engage them in what many believed, then and now, to be the climactic battle of the American Civil War. 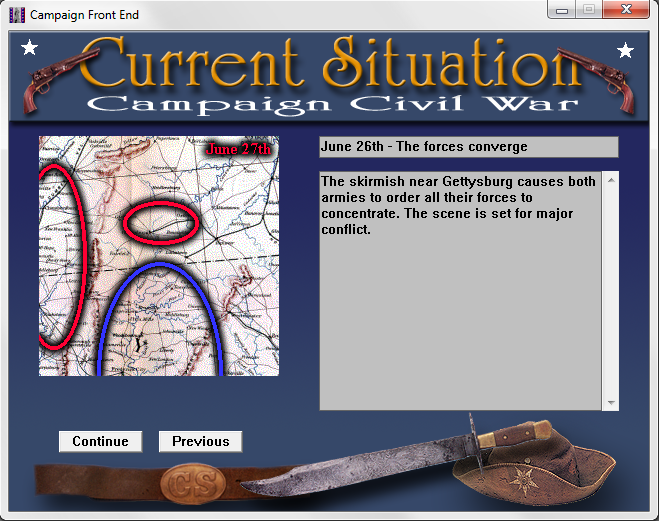 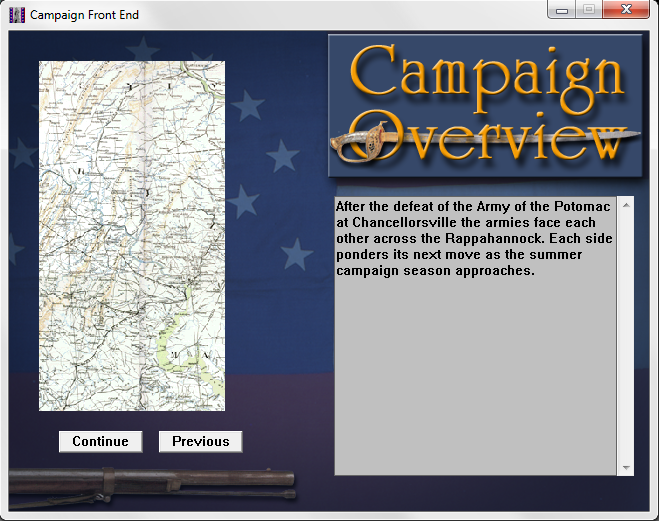 A total of 314 scenarios, including the historic battle of Gettysburg and battles leading up to and after it. 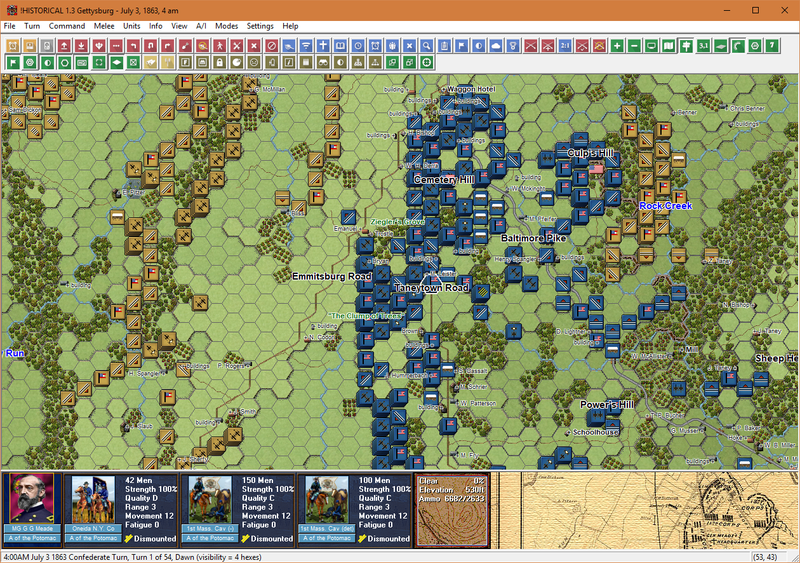 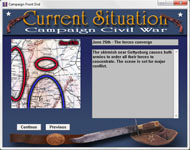 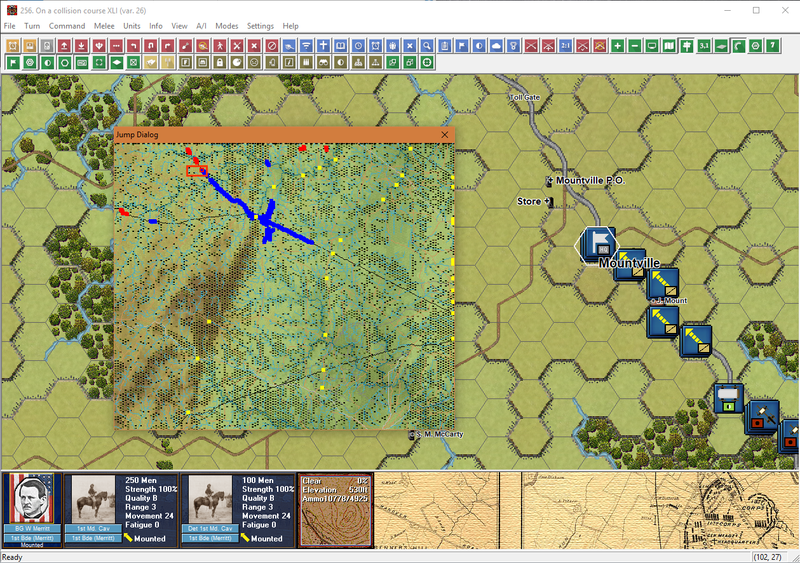 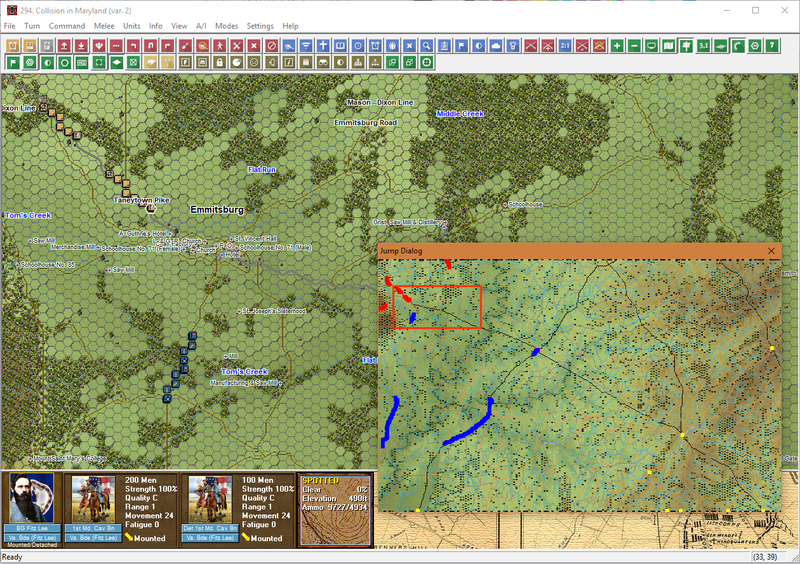 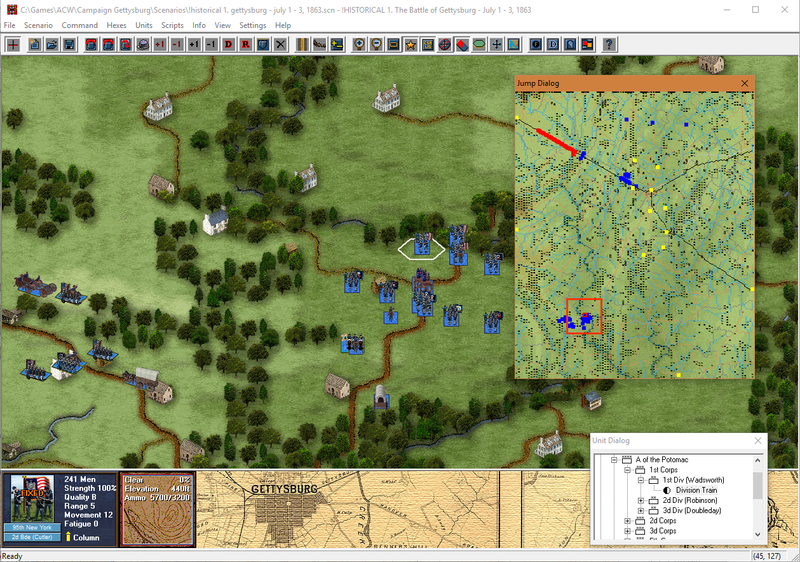 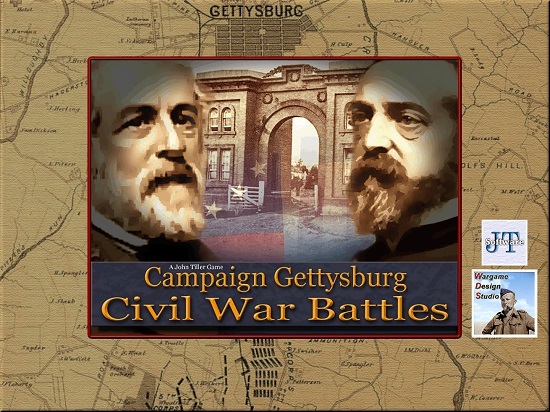 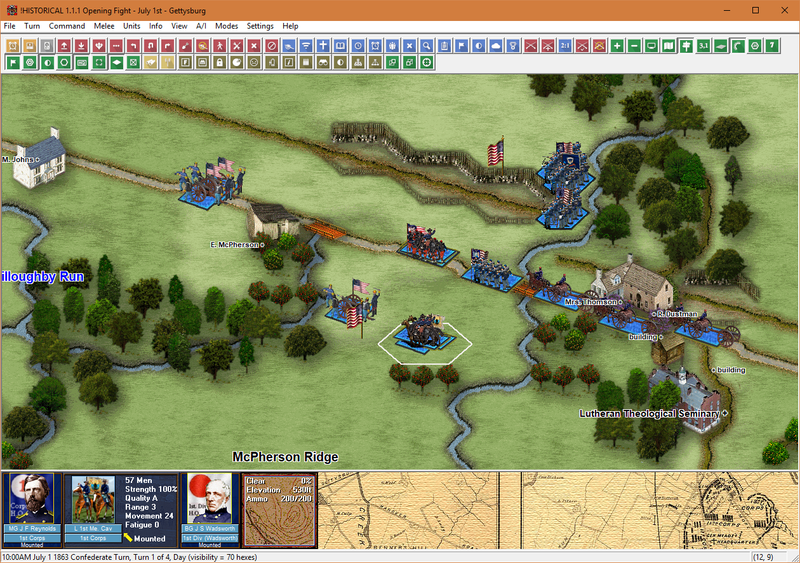 A campaign game that covers all of the historical options as well as many what-if options associated with the campaign starting in Virginia and continuing through the climactic Battle of Gettysburg and following operations. 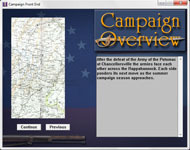 The game engine supports single player against the computer as well as two-player Play By E-Mail for both individual scenarios as well as the campaign game.